purchase sans-serif; font-size: 11.6667px;”>Cooma Music Competition 2010 will provide an opportunity for musicians of all ages and skills to perform and compete. We hope this competition will be as inclusive as possible. The competition will be open to all instruments and voice. 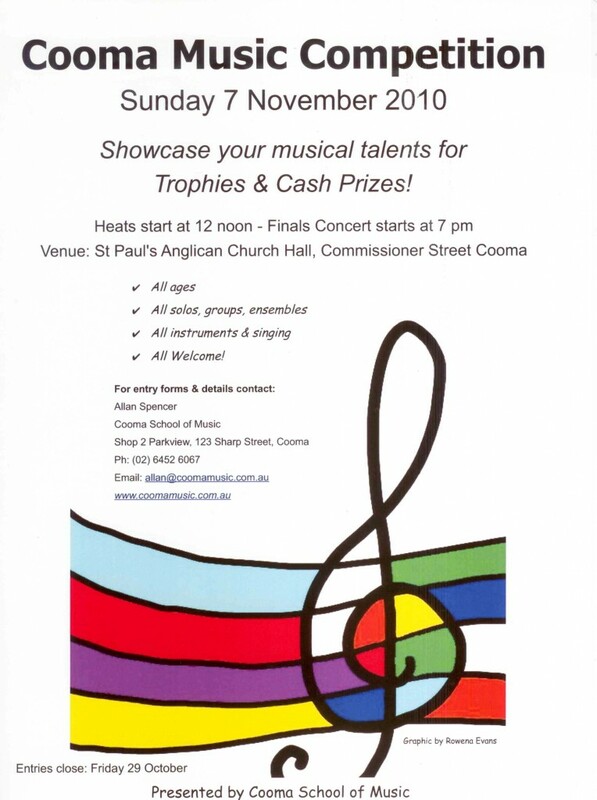 Although the competition will be conducted by Cooma School of Music, hemophilia all musicians are welcome to perform. Heats will be conducted throughout the day with a Finals Concert to be held in the Evening at 7.00 pm. Solos (unaccompanied or accompanied. Solos may be accompanied by a pianist or a guitarist or other musician or CD backing track. Performers must organize their own accompanist if required. CD backing tracks (“Play-along”) will be accepted by prior arrangement. Large Instrumental Ensembles-any instrumental combination of more than 6 players.